Toyota has today taken the wraps off the exterior design and styling of its new Toyota hydrogen powered car, that will be launching in Japan before April 2015 and which is expected to launch in the US and Europe sometime during the summer months of next year. 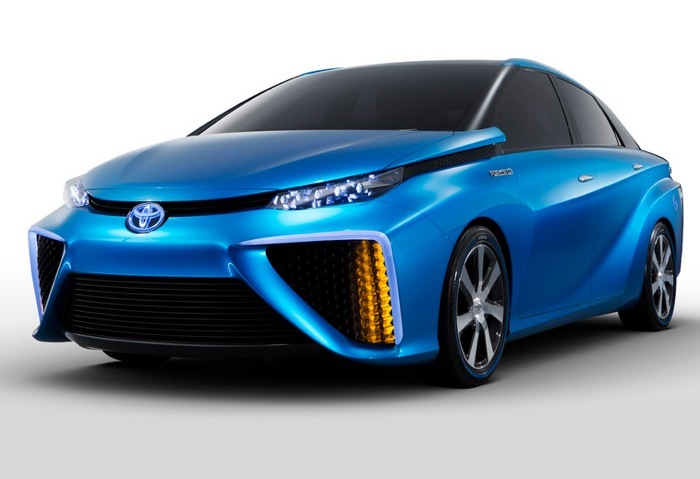 The Hydrogen fuel cell used within the Toyota car is expected to compete with the environmentally friendly electric powered Tesla cars and has been priced accordingly at approximately ¥7 million or $68,674. Toyota has been developing hydrogen fuel cells for more than 20 years that have been designed to generate electricity from the chemical reaction between hydrogen and oxygen. For more details on Toyota’s first hydrogen powered car jump over to todays press release by the company or watch the brief video below to see the car’s exterior design.